Salad Days is one of around 250 beach huts at Dunster Beach, but this one is special. To begin with, it has a Visit England 5-star rating, making it the only beach hut in the UK to receive such an accolade, and now it has won two awards at the Bristol, Bath and Somerset Tourism Awards: Silver for ‘Self Catering Business of the Year’ and Gold for ‘Dog Friendly Business of the Year’. Designed and rebuilt from the ground up, the 80-year-old beach hut is the pride of Susan Juggins and Brett Bates. They took on a run-down beach hut that had been used by holiday makers since the end of the war and had housed coastal defence workers before that. They wanted to give it a new lease of life as a luxury beach hut with all the comforts of modern-day living. 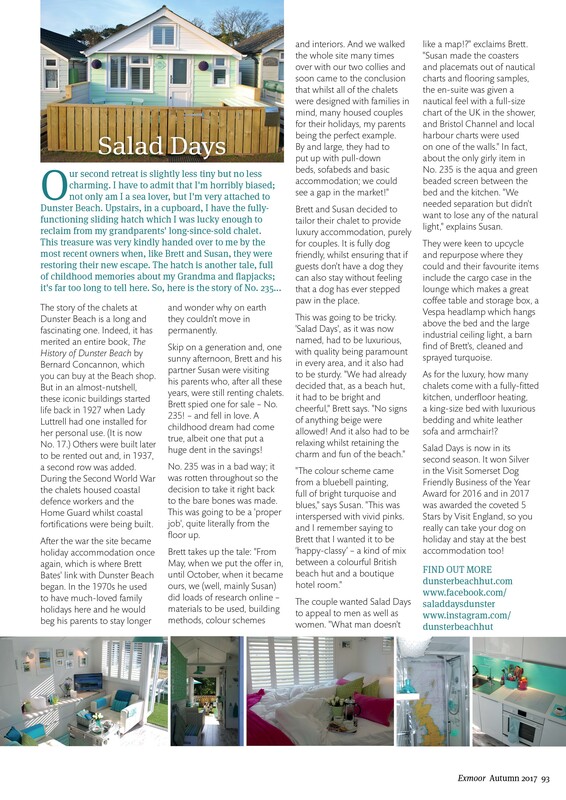 Salad Days offers boutique-style accommodation in a beach hut environment and it is dog friendly to boot. 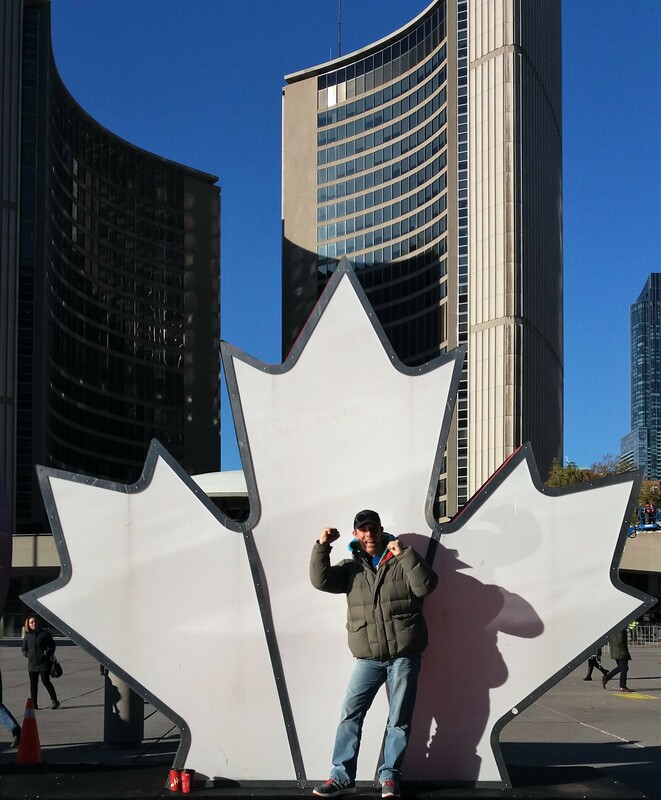 News of the awards was not just celebrated by co-owner Susan who collected the award at Somerset County Cricket Club in Taunton, but also 3,500 miles away in Toronto Canada. 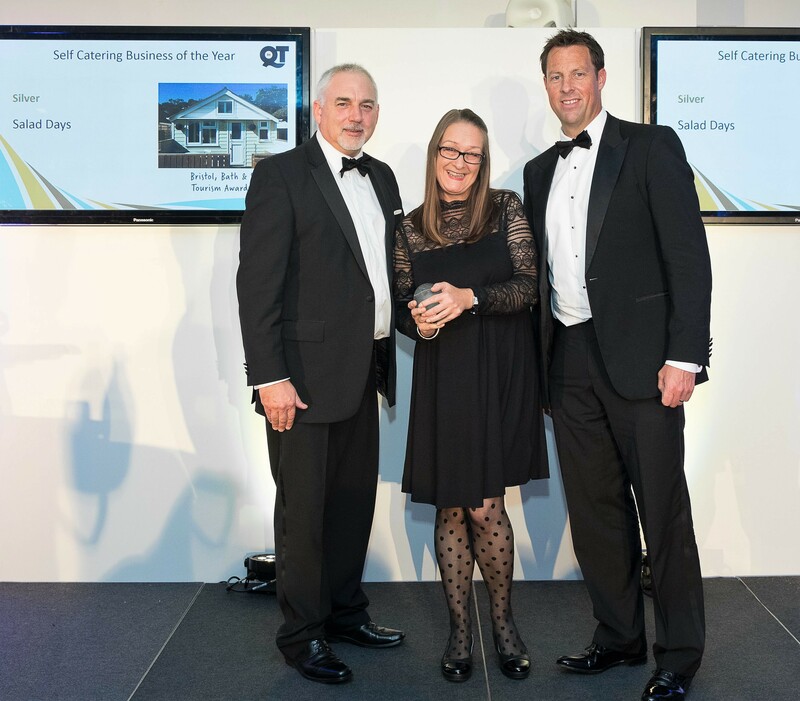 The story of their success may not stop there; Salad Days will soon find out if they are to represent Somerset at the South West Tourism Excellence Awards in February next year. The awards are run annually by Visit England with the judging carried out locally by industry experts, followed by area and national finals. To be a finalist in any category, each entrant has to be at the top of their game, offering world-class service within the highly competitive tourism industry. The South West has won more awards than any other area of the UK. Somerset had the highest ever number of awards entrants this year.